The very first kernel of an idea for this book came long before we ever intended to actually write a book. Back when we were just playing around and writing things to entertain each other, we decided to start a new scenario. Amie wanted to do a shipwreck backdrop. Meg wanted to do a space backdrop. 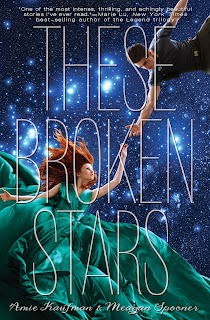 THESE BROKEN STARS was the result! 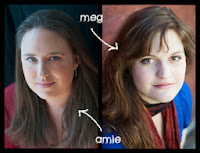 Amie Kaufman and Meagan Spooner are longtime friends and sometime flatmates who have traveled the world (but not yet the galaxy), covering every continent between them. They are sure outer space is only a matter of time. Meagan, who is also the author of the Skylark trilogy, currently lives in Asheville, NC, while Amie lives in Melbourne, Australia. Although they currently live apart, they are united by their love of space opera, road trips, and second breakfasts. 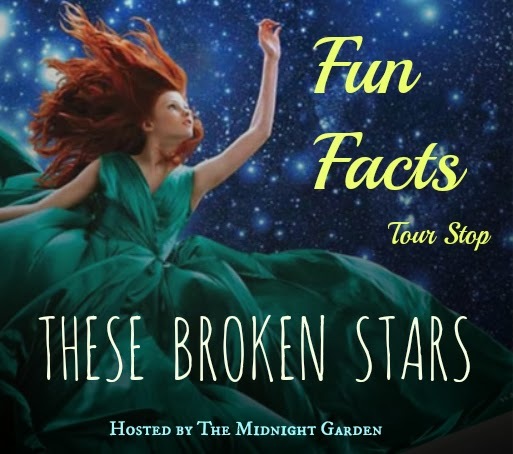 Visit the These Broken Stars website for the latest news on the series and follow the authors on Twitter at @AmieKaufman and@MeaganSpooner. You may also sign up for their newsletter as well! These Broken Stars will be available in North America on December 10, 2013. If you pre-order the book from Malaprop's Bookstore, you can also get a collectible TBS poster autographed by the authors! Hahahhah! That's so cool. 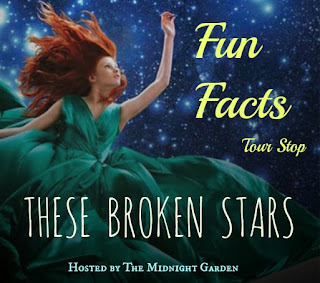 I've been following this blog tour and I'm enjoying these fun facts. So informative! I wanted to read this book because 1. The cover and 2. After Across the Universe, I wanted another space series. TBS was a fantastic read & I can't wait for #2!